Vital Lacerda’s On Mars gets a Kickstarter date, Evolution takes to the seas, and the makers of Dragoon launch their newest game. From the designer of Lisboa, CO2, and The Gallerist comes a new game of settling the red planet. What we know of the game so far: players can choose their goals each time, there will be construction, resource management, and actions will be taken using cards. The YouTube teaser from publisher Eagle Gryphon says there’s less than three weeks to the Kickstarter launch; we’ll keep you up to date on that. Easily one of the slickest Kickstarter campaigns I’ve ever seen, Life Siphon comes from the creators of Dragoon and is loosely set in the same universe. Players must fight each other (although you can’t choose who to fight) in order to shake off a curse. Play slow cards or fast cards, lose life to use powerful abilities, summon minions to your cause, and be the last cursed one standing! The next game in the Evolution series, Oceans has been in development for absolutely forever and is finally on Kickstarter. Like its predecessor games, you’ll create species with unique traits, starting with a simple plankton feeder and possibly progressing to dangerous carnivores. You’ll be able to go to The Deep in order to get incredibly powerful traits to add to your species, lending the game more depth (ehehe) than previous titles. Check it out! Handsome is a word game using only 18 cards in which characters must make sets of necklaces, bow ties, or bolos in order to gain a majority and score a point. Accessible, wallet-sized, and with plenty of ways to try and score, Handsome is worth checking. Folklore: The Fall of the Spire is the next game in the very popular Folklore line of dungeon crawler, a co-op adventure of mystery and dark fantasy. Fall of the Spire is both an expansion and an standalone title that continues the story, and I’ve been a big fan of Greenbrier’s narrative games in the past. 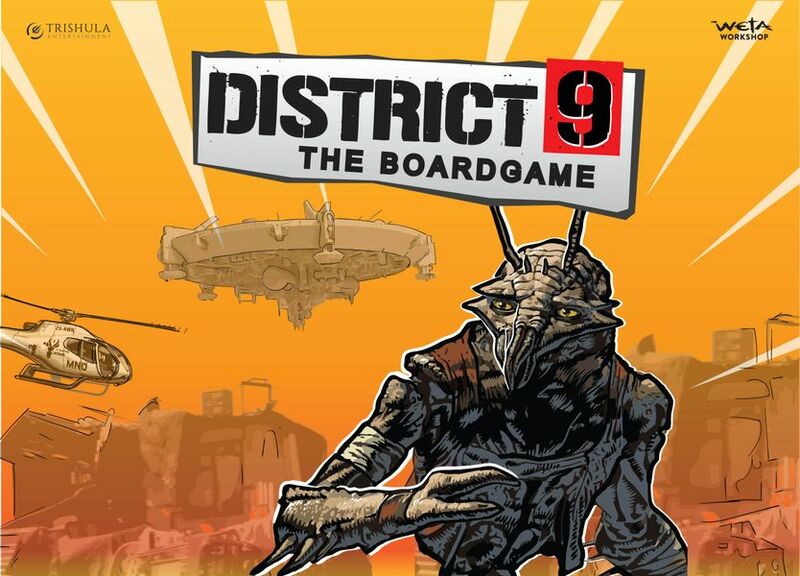 From the makers of one of our picks for last year’s game of 2018, Giant Killer Robots comes District 9: The Board Game. It’s got a ton of miniatures and four distinct factions each trying to perform their own goals. I’m just about to hit the back button on this one myself.